I was asked a very good question last week. A lady on Ravelry was having a hard time with wonky edges on the Martha Stewart loom, when she wove with more than one color. How to fix this? Here’s the link to the video tutorial that shows the nifty trick that I have figured out for making lovely edges when weaving on small looms. 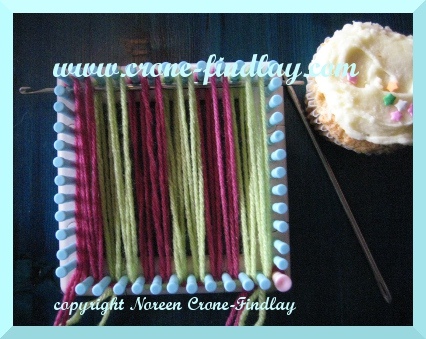 And yes, this technique works great for potholder looms, too! Clear as a bell. You are SUCH a good teacher! Thank you so much, Aleksa!